Even so, the Rangers at TR National Park want to help you discover as much as you possibly can about the park and the wildlife that call it home while you’re here in Medora, and this is why they have a plethora of actives lined up every week! 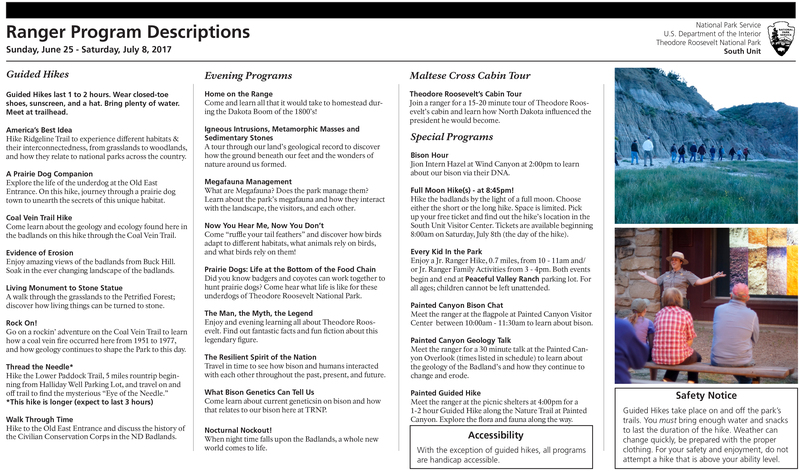 Every week there are multiple different guided hikes planned, ranging anywhere between 0.2 miles to 5.0 miles, to help you experience the Park through the eyes of someone who spends every day there. Every evening there is a different program held by the rangers at the Cottonwood Amphitheater on a multitude of topics to teach visitors about the wildlife and history of the park. 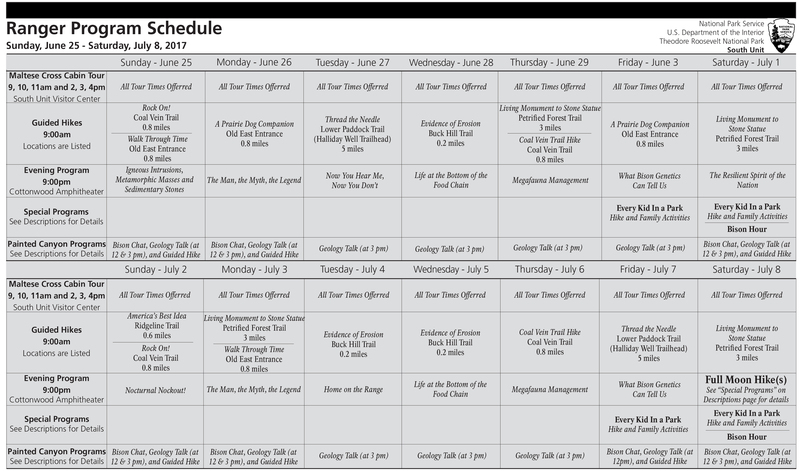 Additionally, there are other special programs held in different locations throughout the week to allow everyone a chance to participate in getting to know North Dakota’s very own National Park. You won’t want to miss these special opportunities to learn and explore more of Theodore Roosevelt National Park than you ever could on your own!